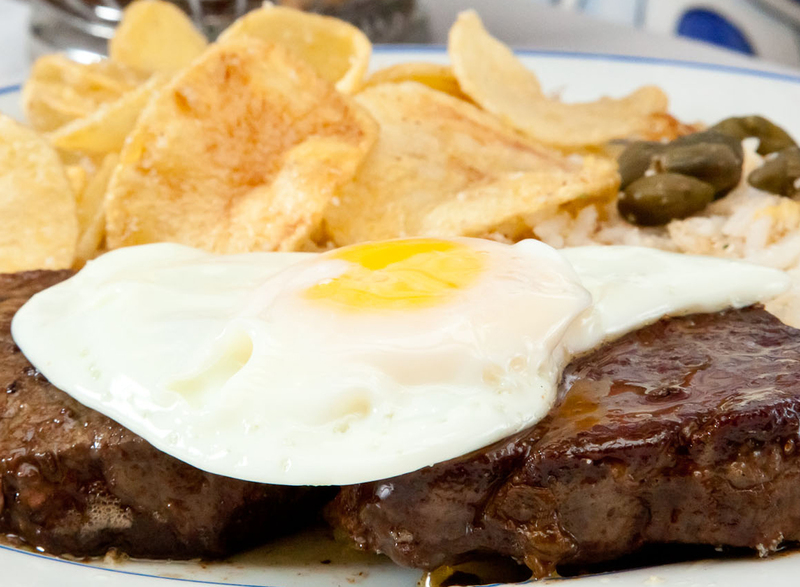 ‘Bife com Ovo a Cavalo’ is one of the most popular dishes in Portuguese cuisine. It is a delicious and simple dish, a deep fried steak with a sunny side egg on top and french fries on the side. 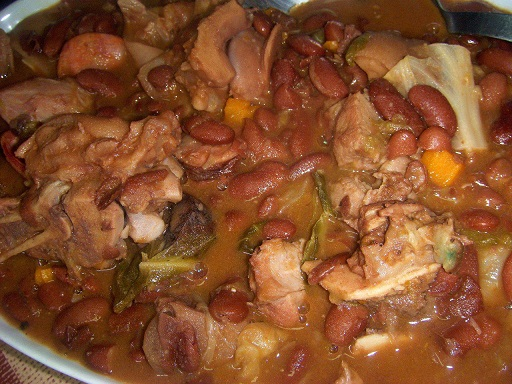 It is best served with either some rice and vegetables or a small salad on the side as an accompaniment. 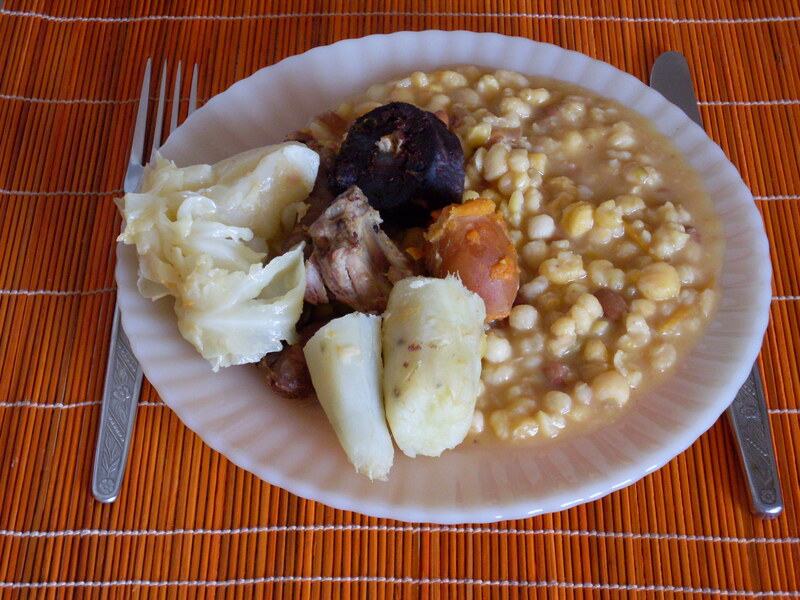 Molha de Pico, is an Azorean style Beef stew which originates in the island of Pico. Pico is the only island in the Azores where it snows and is the highest point in all of Portugal. 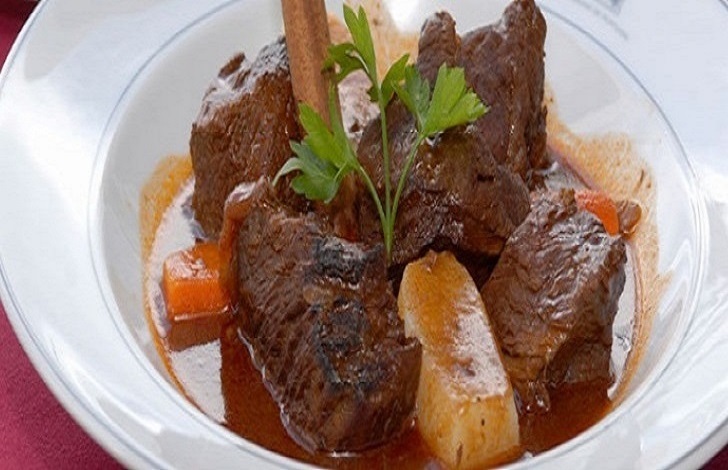 With Molha de Pico, this style of cooking beef was used by the settlers of Pico to utilize all the ingredients and cook them long enough to bring out all the rich flavors in unison. This recipe uses a pressure cooker to emulate the style of cooking. Carne Assada, or Portuguese Pot Roast, is the quintessential Portuguese beef dish. 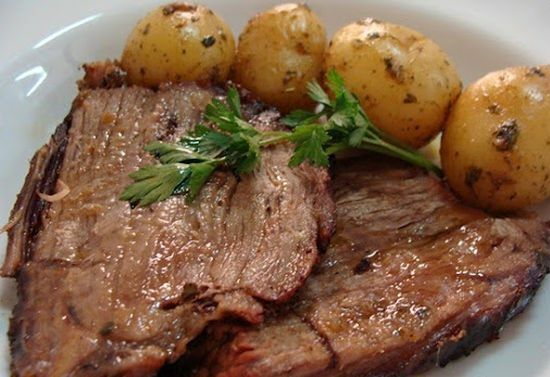 It combines wonderful spices and beef with some roasted potatoes into a delicious pot roast. It is an easy way to combine these ingredients into a flavorful dish that is sure to impress. 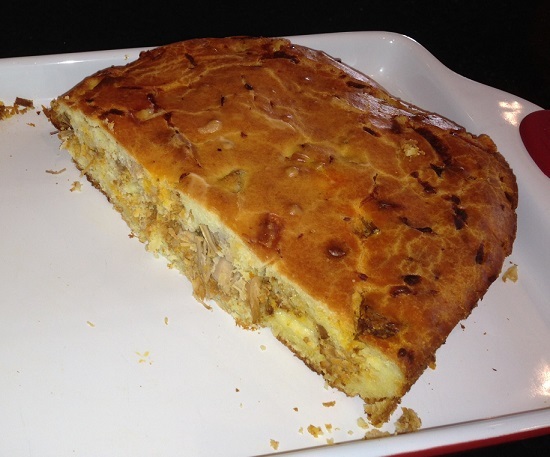 This is a delicious recipe for a Portuguese style meat pie called Bolo de Carne. This style of pie originated in Germany and has been brought and intertwined with Portuguese gastronomy through the use of Portuguese ingredients of Chourico, cacoula, and spices into a meaty dish. It is quite simple and easy to make, so go ahead and try it out and tell us what you think.